Are they not some of the most gorgeous pieces of donut you’ve ever see, though?! After a morning of wondering around Chicago’s gorgeous Wicker Park area, we were getting pretty hungry. 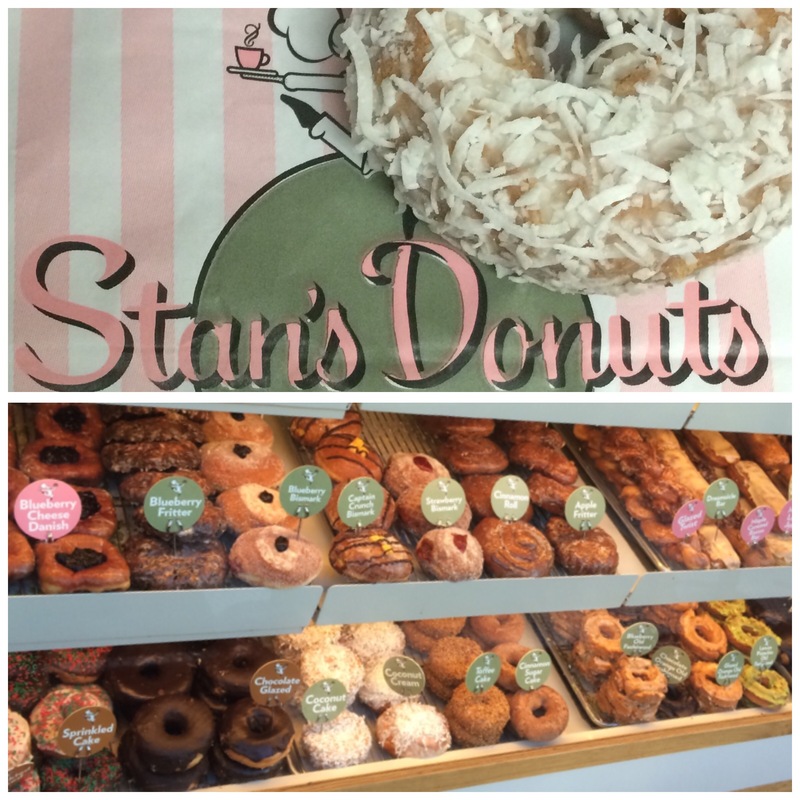 It’s a cool suburb with a lot of very tempting cafes, but with a donut display like the one above peeking out the window at you, there’s no way you’re going past Stan’s! With a menu and display cabinet full of the most amazing looking donuts (peanut butter pocket, anyone? Or maybe a Captain Crunch bismark? Even a maple caramel bacon concoction? ), picking out only two was a struggle, but in the end, we went with a lemon pistachio old fashioned for the husband and a coconut cake for me. The lemon pistachio was really good, but the flavours weren’t quite as powerful as I was expecting – I got the lemon, not so much pistachio. The old fashioned part of the donut was fantastic, though – top marks! The coconut cake I went with was part cake, part donut, and beyond amazing. It was so soft and crumbly, plenty of frosting and smothered in moist shredded coconut. It was sweet and cakey, couldn’t have been happier with my choice! Omg, my mouth is watering. These looks glooorious. They so were… what I wouldn’t give for another one! Pingback: Eat here: Doughnut Vault, Chicago | Eat. Travel. Blog.